Photos from Baltimore County Public Library Legacy Web. 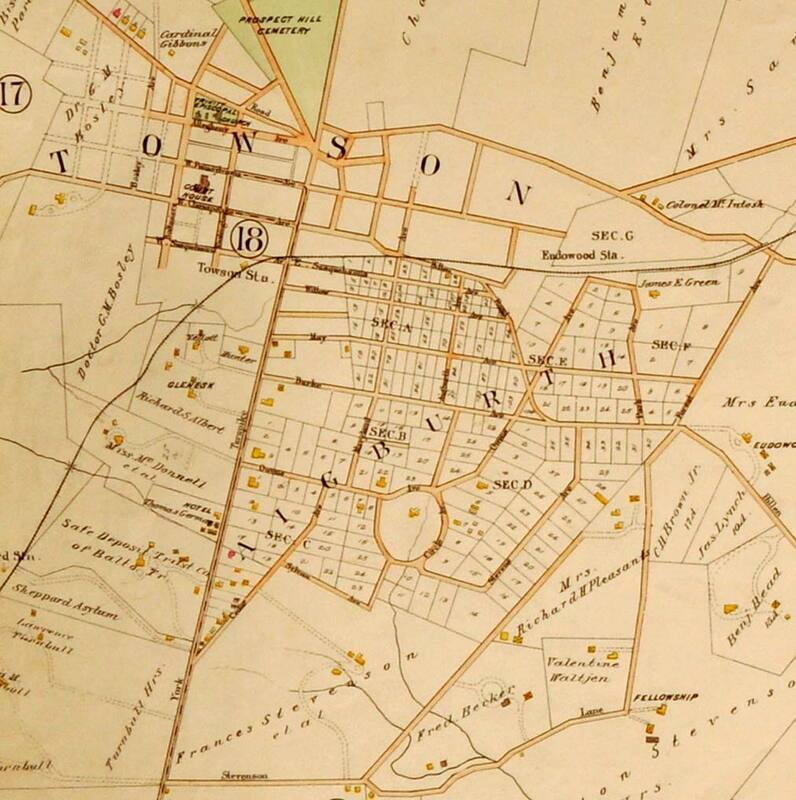 Portion of George Washington Bromley’s 1898 Atlas of Baltimore County, Maryland, Plate 22: Parts of the 9th and 11th districts showing the Aigburth area of Towson which included the present-day communities of Aigburth Manor, Burkleigh Square, Towson Manor Village, and Knollwood/Donnybrook. Click on image to see the full Plate 22. 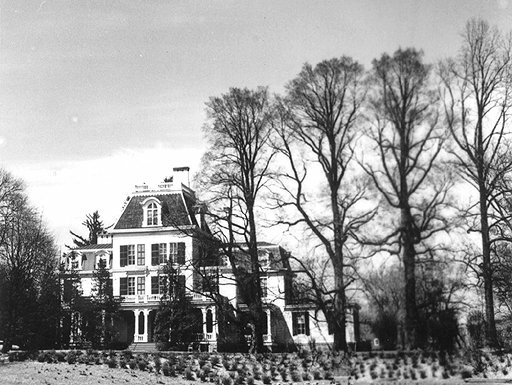 Aigburth Vale (photo c. 1950), British comedian John E. Owens’ home in Towson. This Second Empire style mansion was built by Niernsee and Neilson around 1868. Adjacent to the Towson Senior High School property, the building was eventually purchased by the Baltimore County School Board for offices. In the late 1990s, the Board of Education returned the property to the County and it was offered for sale. Aigburth Vale is on the Baltimore County Landmarks list, and is currently part of the Aigburth Vale senior apartment community. This 1925 aerial view looks west over part of the Towson Nurseries estate towards Stephens Hall and Newell Hall of the State Normal School (Towson University). Towson Nurseries plantings are on the east side of York Road, off what is now Cedar Avenue. The Stone-McCabe house (now the Newman Center) is in the middle distance, and the Judge Nicholas Burke house on Burke Avenue is slightly to the south and right of the Newell Hall residence building. #1 Terracedale, c. 1917. Photo taken facing east from across York Road. The Thomas house on the left was razed before 1960 and the site is now the southern end of the York at Terracedale office building.